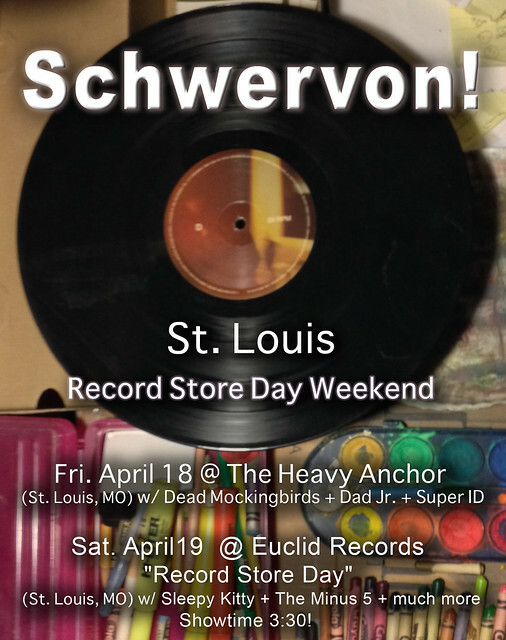 St. Louis “Record Store Day” Weekend @ The Heavy Anchor & Euclid Records | Schwervon! This entry was posted in Uncategorized and tagged Euclid Records, Live Show, Record Store Day, Schwervon!, Sleepy Kitty, St. Louis, The Heavy Anchor, The Minus Five. Bookmark the permalink.